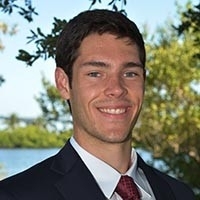 Kevin was born and raised in Vero Beach, FL and possesses a passion for growth in his local community. He is a 2016 graduate from Covenant College with a B.A. in Economics and has been actively involved in the Indian River County market since 2015. Specializing in office/medical sales and leasing. Kevin plans to begin the process of obtaining status as a Certified Commercial Investment Member in the near future. $15.00/SF + CAM $5.00 PSF + S.T. Prime Ocean Drive Location • Central Beach Location • Walk to Beach, Restaurants & Shopping • RENT $19.00 PSF + S.T.